The Trend: 2018 will see the launch of Norwegian Bliss and Carnival Horizon, plus offerings from two new players in the megaship market, Celebrity and MSC. 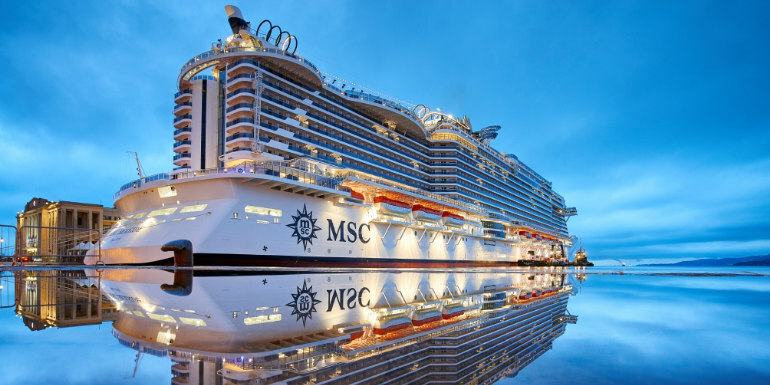 Edge will be Celebrity’s first megaship (and their first new ship in five years), while MSC will launch both the Seaside and Seaview. Our Take: This makes our list every year, as just about every new ship from a major line in the past 4 years has been among their biggest offerings yet. That said, we do see enough reviews from cruisers who aren’t a fan of 5,000+ passenger ships to make us think that eventually, one of these bigger lines will try to make headlines by bucking the trend and building a series of “small,” “intimate” ships of “only” 2,500 passengers. It’s already happening with smaller lines; Viking Cruises is rapidly expanding their fleet of ocean ships, and Virgin Voyages will be debuting their first vessel in 2020, which will only hold 2,700 passengers. The Trend: Two years ago, Norwegian Cruise Line took a big step towards inclusivity by making the Norwegian Sky completely open bar. Norwegian considers the experiment a success, and plans to expand the policy to short cruises on Norwegian Sun in May 2018. Our Take: This policy is great for those of us who plan on drinking our money’s worth, but not the best news for cruisers who aren’t heavy drinkers. 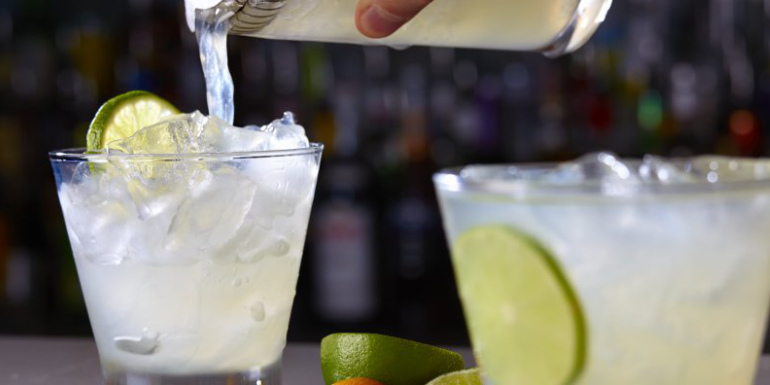 Fares (and suggested gratuities) rose to make up for the lost revenue, meaning that your margaritas are at least partially subsidized by the cruise fare of non-drinkers. We’re skeptical that this trend will spread fleetwide, but it will be a huge selling point that sets Norwegian apart in the short-cruise market. Our eyes are also on Royal Caribbean, who we suspect may try something similar aboard one of their older ships, like Majesty or Empress of the Seas. 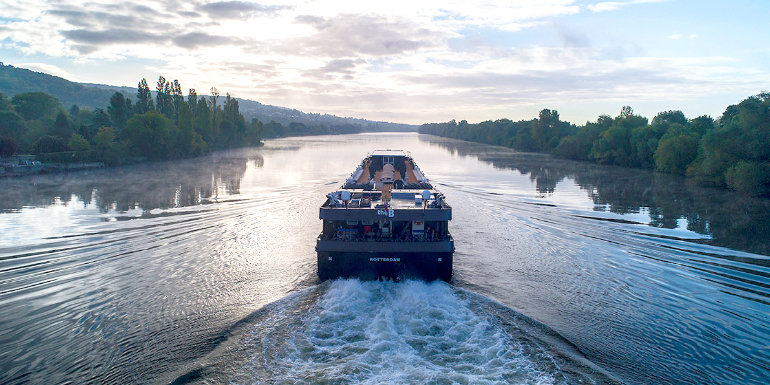 The Trend: European river cruises have never been known for attracting passengers under the age of 45, which is why it was so surprising that Uniworld would be appealing to millennial (and Gen X) cruisers with their new offering, U by Uniworld. Their two unmistakable jet-black ships, simply named “The A” and “The B”, will sail typical river itineraries along the Danube and Rhine with excursions and local entertainment carefully curated for a younger crowd. Our Take: No one has ever tried anything like this before, but we’re intrigued. Millennials aren’t known for being ardent cruisers (let alone river cruisers), but their offerings of complimentary WiFi, silent discos, and rooftop yoga makes it seem like they understand their target market. If younger cruisers aren’t interested, the ships will be awfully empty because U requires all guests to be between 21 and 45 years old at the time of departure. The Trend: The Cuba market is slowly heating up after the easing of travel restrictions in 2016. 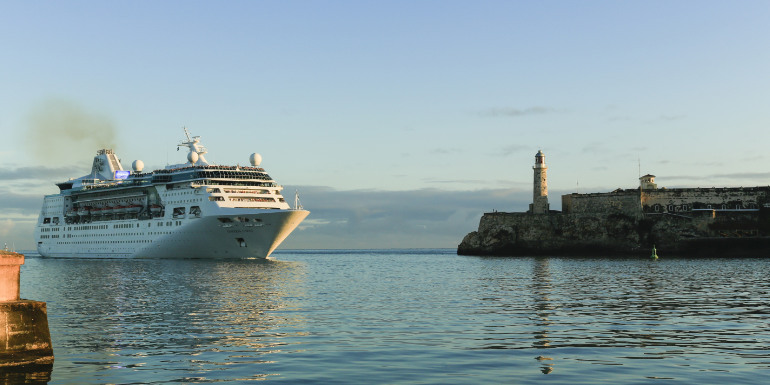 Royal Caribbean is adding a second ship, Majesty of the Seas, to year-round Cuba itineraries in 2018, and in total, 11 ships from 8 different lines will head to Cuba at some point during the year. 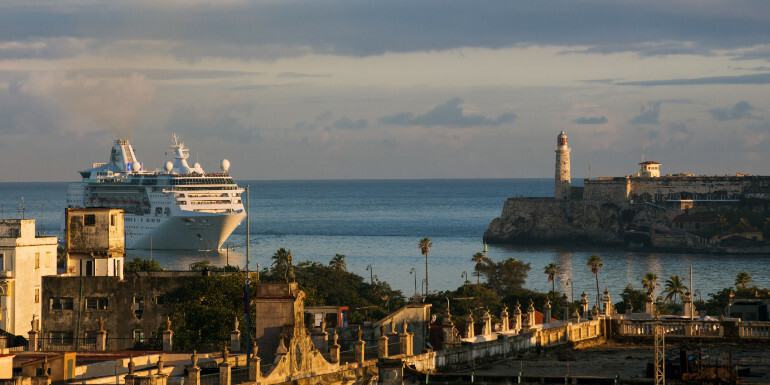 Our Take: Cuba cruises will likely remain a niche destination for another several years as lines continue to charge premium prices, but someday we expect it to be just another stop on a typical Caribbean itinerary. As restrictions have been recently tightened again on traditional travel to Cuba, a cruise is arguably the easiest option for Americans to visit there. The Trend: Cruise lines are really banking on the value of a good view. 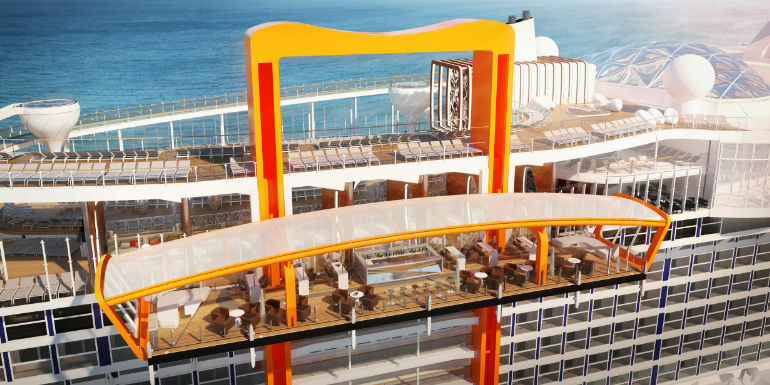 Seaside and Seaview will have three infinity bridges (two extending over the side with the third on the top aft deck), the Magic Carpet platform on Celebrity Edge extends over the side of the ship, and Norwegian Bliss will have multiple indoor observation lounges with panoramic views for taking in the Alaskan coast. Our Take: What’s not to like? The large observation lounges on Bliss likely won’t become the norm as that ship is built from the ground up for Alaska sailings, but after the popularity of Royal Caribbean’s North Star, it seems like most new ships will have a couple of neat areas where you can take in the sunset as you sail out of port. The Trend: Major cruise lines are integrating more and more technology into onboard life every year. Cruise line apps let guests to make restaurant reservations, read the list of daily activities, and see what time various attractions open around the ship. 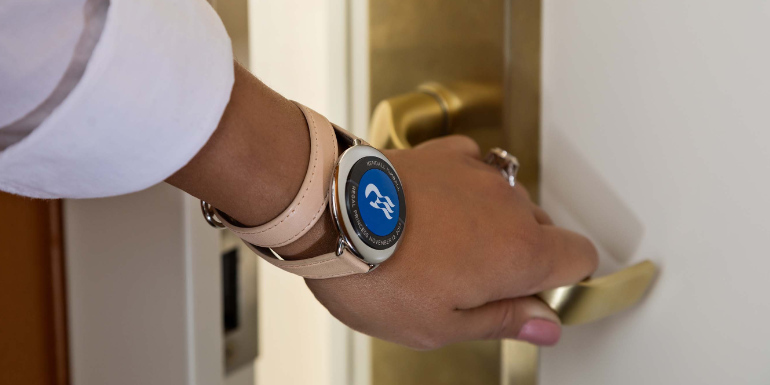 Wearables like the Ocean Medallion on Princess Cruises are similar to Disney World’s MagicBands, which allow cruisers to open their cabin door, pay for purchases, and in tandem with an app, order drinks that a bartender will bring to you no matter where you are with location mapping. And for roll calls, deck plans, independent excursion booking, and shopping deals, check out ShipMate, the #1 cruise app. Our Take: We're all for making things more convenient, and we certainly don't mind that cruise lines are also upgrading their internet systems for faster, more reliable wifi. We are staying cautious though, because we don’t want to see technology overwhelming the cruise experience. Part of what makes a vacation, well, a vacation is that you leave your day-to-day life at home and unplug. We think there’s a good balance to be found. Which trend are you most excited to see in the new year?